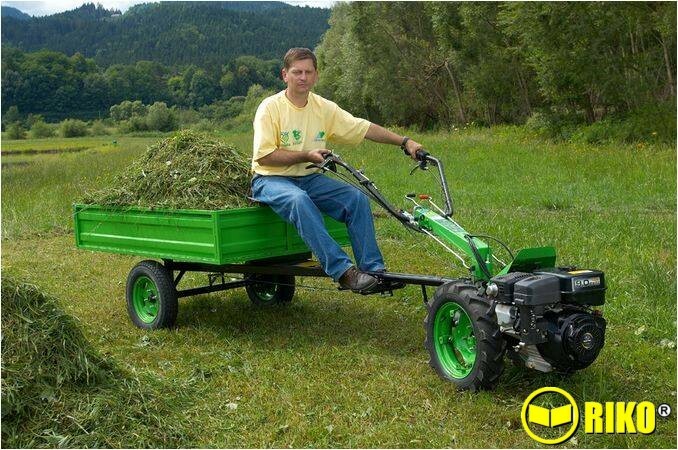 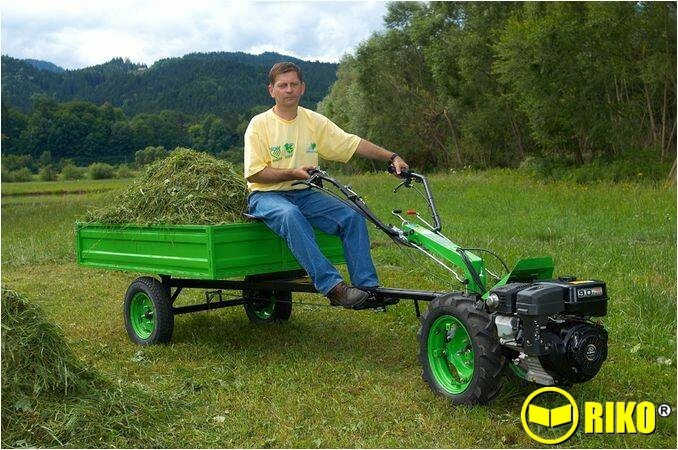 ﻿This is one of the most useful, yet underrated attachments and is obviously towed by the 2-wheel tractor. 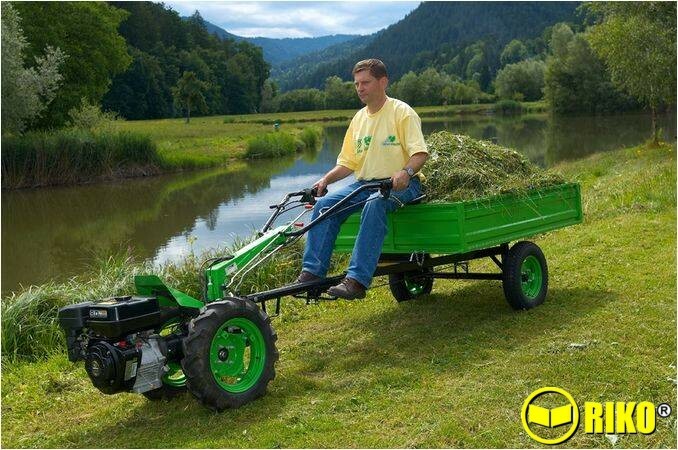 Rather than the power unit lying idle when not being used, the trailer turns your power unit into a general runaround transporter. 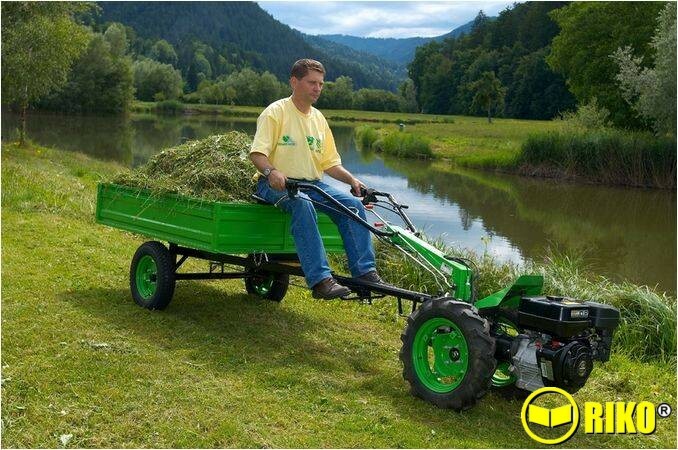 It is fitted with a seat and brakes and the tipping body has a removable tailgate, so you can move manure, topsoil, logs, bricks, plants, fencing materials etc. 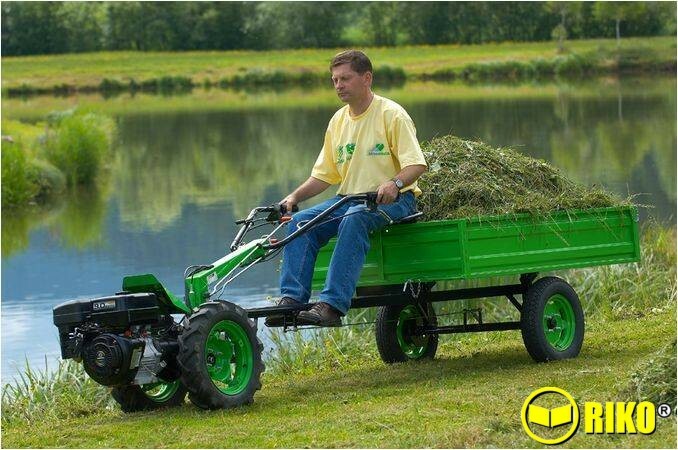 You can also fit mesh extension sides for moving light bulky material such as hay and leaves. Every time you are wobbling along pushing a half filled wheelbarrow think how much quicker and easier it is with a trailer. 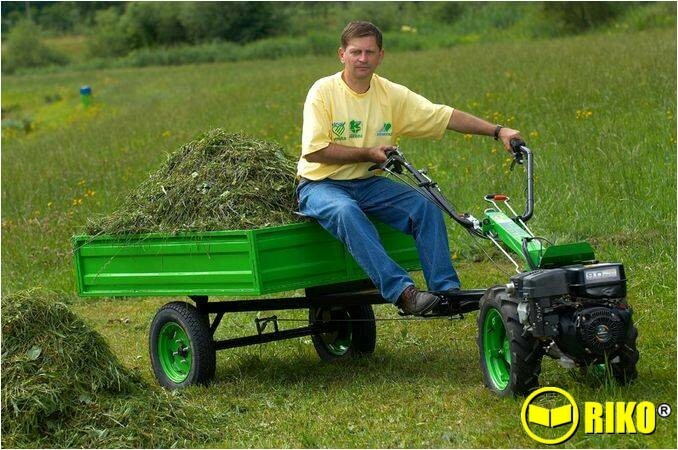 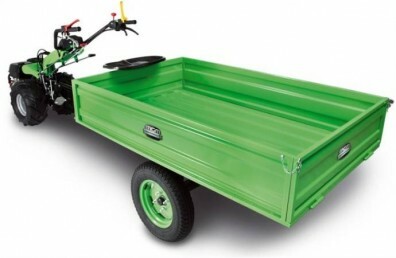 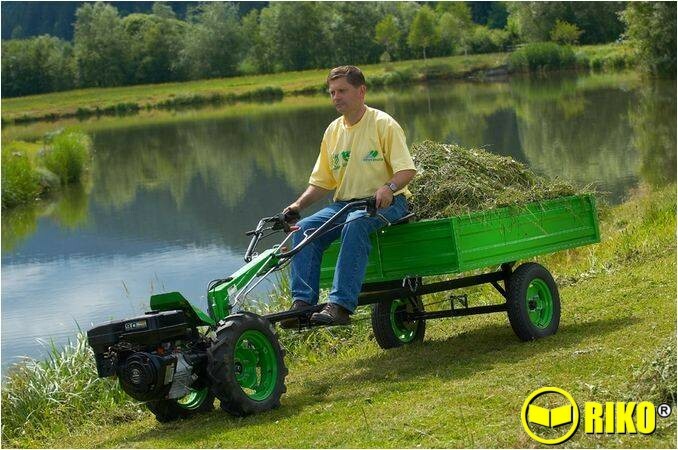 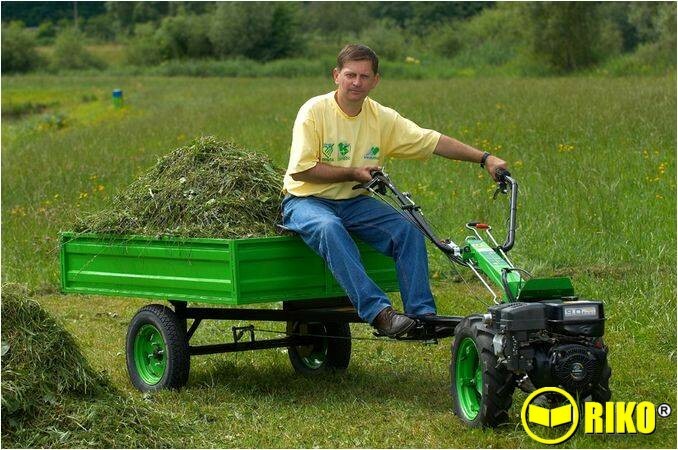 You can even have a tipping trailer with a driven axle making your 2 wheel tractor a 4 wheel drive transporter!